“A serious global health threat”-what health officials fear from a drug-resistant superbug fungus. According to the Centers for Disease Control and Prevention, the fungus identified as Candida Auris has already infected hundreds of people throughout the country. 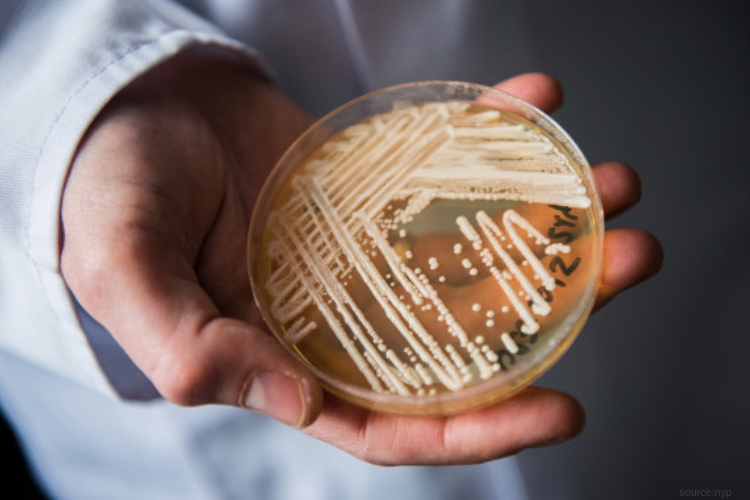 The superbug, Candida Auris, attacks on people with weakened immune systems and was first discovered in 2009 and found its way into the country in 2013. Five hundred eighty-seven illnesses in the U.S have occurred since then, and more than 300 of those cases were reported in New York state. One hundred forty-four confirmed cases came from Illions mostly found in the busy city of Chicago- New Jersey had 104 reported cases. Health experts claim that the fungus is becoming more resistant to antifungal medications and is leading to a deadly outcome. A senior man passed away from the bug last year at Mount Sinai Hospital following abdominal surgery, according to CBS New York. More than 20 countries have reported illness related to the superbug. Experts explain that the infection caused by the super-bug can be anywhere including bloodstream infection, wound infection, and ear infection. The CDC confirms that the fungus has been discovered in respiratory and urine samples, although it is unclear if it created lung or bladder infections. The people who appear to be at the highest risk are patients who had surgery recently, reside in nursing homes, or who have breathing tubes, feeding tubes or central venous catheters. The reports have come from health care settings throughout the world, including long-term care facilities, hospitals and others live in medical facilities. The illness has been located in patients of all ages, including preterm babies and the elderly. Candida auris is typically spread in health care settings, person to person or through contact with contaminated surfaces or equipment. However, healthy bodies with strong immune systems can carry the fungus without ever getting sick. Only tests can confirm the superbug infection and is usually hard to detect due to the patients being already sick, according to the CDC. The test is a series of blood cultures or a sample of other body fluids. Health officials explain that most Candida Auris infections are treatable with the traditional anti-fungal medications, yet medical experts are worried that some forms of the fungi have become resistant in all three main classes of antifungal medications. “It’s an enormous problem,” Matthew Fisher, a professor of fungal epidemiology at Imperial College London, explained t0 The New York Times. “We depend on being able to treat those patients with antifungals.” Fisher recently co-authored a scientific review documenting the increase of drug-resistant fungi within major cities. Although experts are concerned, the fungus usually infects people who are already are ill with a severe medical condition, making it hard to pinpoint the cause of death. “Based on information from a limited number of patients, 30–60% of people with C. Auris infections have died, however, many of these people had other serious illnesses that also increased their risk of death,” according to the CDC.